Colossians 4:2-6 GW (2) Keep praying. Pay attention when you offer prayers of thanksgiving. (3) At the same time also pray for us. Pray that God will give us an opportunity to speak the word so that we may tell the mystery about Christ. It is because of this mystery that I am a prisoner. (4) Pray that I may make this mystery as clear as possible. This is what I have to do. (5) Be wise in the way you act toward those who are outside the Christian faith. Make the most of your opportunities. (6) Everything you say should be kind and well thought out so that you know how to answer everyone. 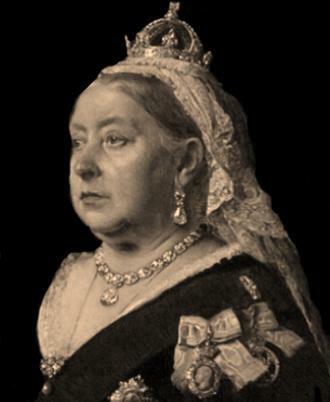 From 1837 to 1901, Queen Victoria ruled Great Britain. During that time she had two of the most famous prime ministers. Of William Gladstone, she said, “When I am with him, I feel I am with one of the most important leaders in the world.” Yet of Benjamin Disraeli she said that he made her feel “as if I am one of the most important leaders in the world.” The distinction is slight yet ever so important. We are social creatures on a planet full of social creatures. The 19th and 20th century gave us a great deal of information about social science and how people relate to each other but in the end, I think Queen Victoria’s observation was spot on - how we make others feel may be the most most important rule for relationships. As we begin this new series in a new year, I cannot help but ask who is the person who has made you feel the most special? The reasons maybe numerous or just a few. Whether you are an introvert or an extrovert is of little consequence either - relationships are of utmost importance to our health and well-being. The rules that guide these relationships may be taken for granted or they may be taken to heart and the choice we make? Well it may make all the difference in this world as well as the next. 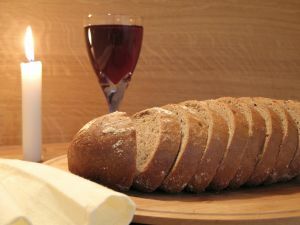 The first is important because it reminds us of what we so often take for granted - our connection to God. Paul reminds the Colossians to do what? Pray. But what is prayer at its root? Conversation with God = relating to God. Everything about our relationships with others is grounded in the shaping work of God’s Spirit in our lives. This relationship, Paul implies, is the foundational one - it is the relationship the Scriptures testify to going back to Genesis. It was learned in his Jewish upbringing BUT this model comes to fullness in Jesus Christ. God began relationship with us and it is God who continues to sustain it. Will we engage? Will we be influenced? Will we live toward others in the same way God lives toward us? What does it look like when we do live this way? Paul begins by talking about how we act toward those who do not yet believe in Jesus Christ but do Paul’s words also implicate all our actions? Few of us can say, I suspect, that we have not been the responsible party in the collapse of a friendship. The Bible makes clear the wound which sin causes has disrupted our relationship with God and impacts every other friendship we have. But it is the gift of Jesus Christ – the reality of the incarnation – that God continues to sustain us, that we might chose to live out rules – not because we will be judged by them but because we want to do so. Does it matter? It does if we believe in grace. Our relationships with other people are grounded in the shaping work of God's Spirit in our lives. Look at these simple rules from Proverbs – what if you lived them? Can you argue that they aren't applicable? John 15:12-13 GW Love each other as I have loved you. This is what I'm commanding you to do. (13) The greatest love you can show is to give your life for your friends. When we gather at the table to celebrate the communion meal, we remember this is the way God views relationship. This is the love God has for us - the gift of Christmas is a gift that is for us all. The law of love is this love is a rule which transformed our relationship with God - a rule that can transform all relationships.